Free Shipping. The Aetrex G501 Gramercy Men’s Brown Lace Up Plain Toe is crafted from luxurious, full-grain leather and is lined with soft, full grain leather for optimum comfort & breathability. 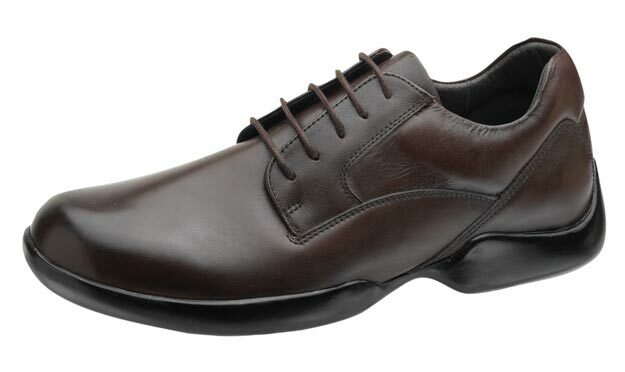 This dress shoe features a sleek, classic lace up design and offers ¼” removable depth in two layers - a patented Aetrex Performance Insole and Aetrex's innovative Mozaic™ Pressure Relief insole for customization and fitting flexibility. • 60 years as leaders in the pedorthic industry. -Available Widths per size: M(C/D), W(E/2E), XW (2E+)View all Aetrex Shoes items.